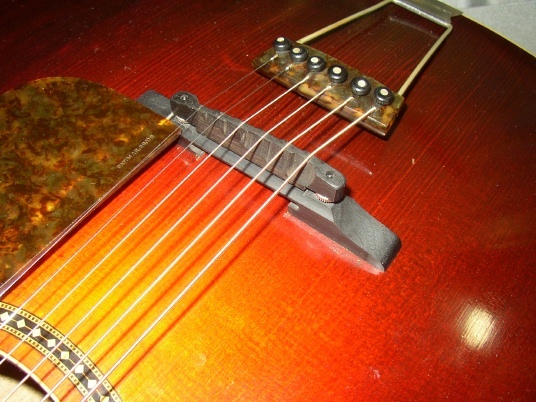 This string winder has been designed to cut down the time required to change strings on the mandolin. The pocket that comes into contact with the tuner knobs is the perfect size for mandolin tuner knobs. Also, the smaller size of the crank fits perfectly between the tuner knobs. 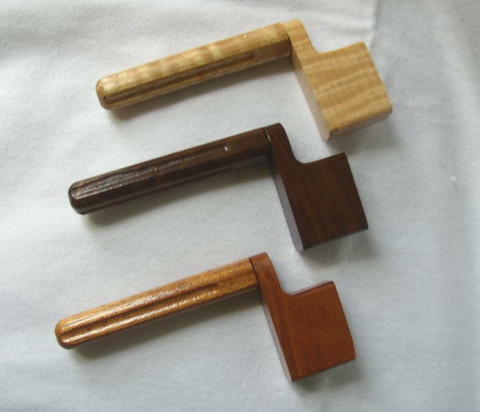 It is made from finished hardwood (your choice of walnut, figured maple or mahogany). It sports a felt bottomed cup to prevent damage to the tuner knobs. Save your fingers, and protect the pegs and peghead of your valuable mandolin. Get this elegant winder today!